Intro: I'm going to try to fo this without any spoilers. The story is about a man named Colton trying to avenge his fathers death. It's set in the west in 1880. Colton must defeat Josiah Reed and Thomas "Tom" Magruder among others if he wants to avenge his father. 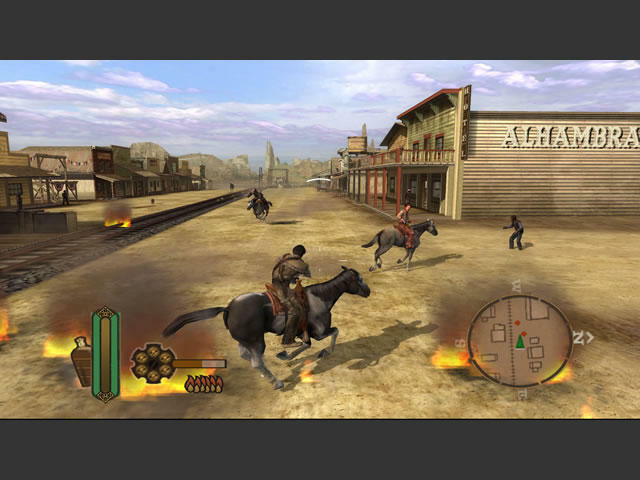 Graphics: The graphics are very nice for a PS2 game. The surrounding towns and terrains will not bore you at all. There are two main towns: Dodge and Empire City. All of the characters and buildings are very life like and have so much detail you might even forget you are playing a game on a last gen system. Sound: Sound was a very well done part of the game. It always seems like the music matches the situation at hand, whether it be just riding around on a horse exploring the game world, or completing a story mission. The music always keeps you in the mood to keep playing. Gameplay: This is where the game really shines. 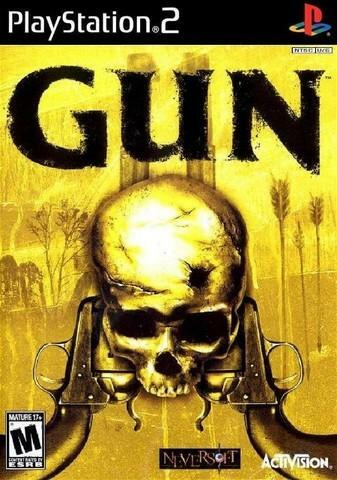 There is a lot to do in Gun. There are the main story missions, side quests and collecting all of the gold around the map. Although the story in the game is actually pretty short (you could finish it in one sitting if you really tried) the side missions and gold collecting will keep you busy. Also, I liked how the game got harder as you went along. If you want to stay alive later on in the story you might want to do side missions, as they open up before going along, because believe me, you'll need the upgrades. One cool part about the gameplay is quick-draw mode. This slows everything down, allowing you to take out many enemies quickly with your pistol. It sort of reminds me of bullet time in Max Payne, only cooler. The camera zooms in on your target and you just watch as you blow them away in slow motion. Its probably my favorite part of the whole game. The game is also sensitive to where you shoot your enemies. They react differently depending where they are hit. 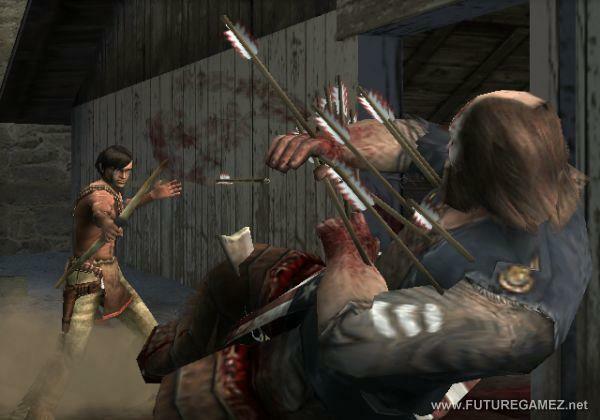 For example, a shot to the head will take the top of their head right off as you watch them fall to the ground dead, and you can even shoot their weapons right out of their hands. Horseback riding is the main way to get around of course, and it is fun. You can kill your horse however, if you ride it too hard, so be careful. The game is not unbearably hard but it's no walk in the park either. You'll need to approach some areas in the game with caution or you will be killed very quickly. I enjoyed this game, and I hope you do too.